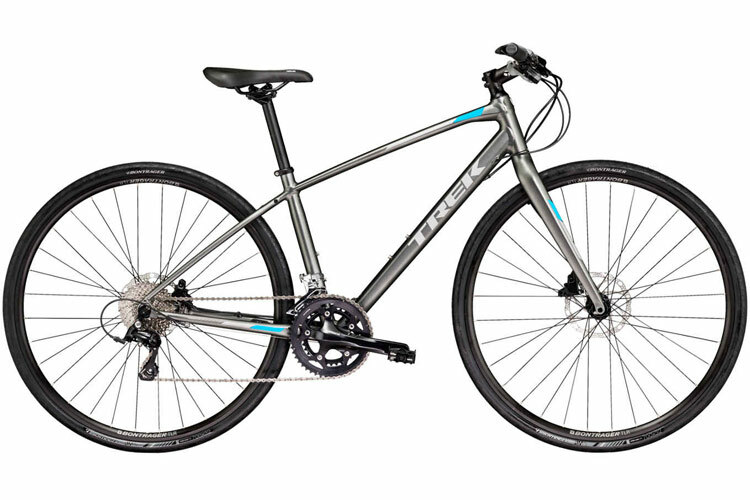 We have an excellent collection of hybrids for the 2018/19 season from Trek, Ridgeback and Whyte. These are top brands; their build quality is second to none and their model specifications seem to be well in tune with current tastes. Also, though it shouldn't really be a big factor when choosing a new bike, it is worth pointing out that because these are all very well respected brands, their second hand values seem to hold up better than average. 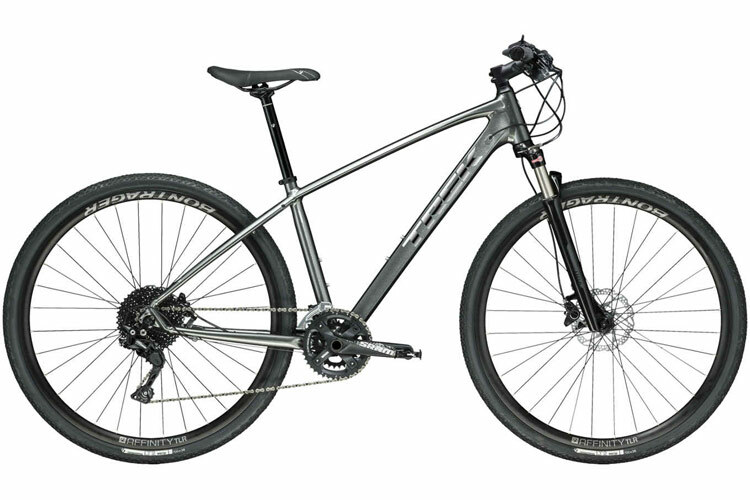 For the purposes of trying to get things in a logical order, we are classing all hybrids here which are fitted with suspension forks as "Heavy Duty". It's only a relative term - a hybrid with suspension forks will cope with rougher surfaces than a rigid-forked one, but they are still intended for safe riding, not crashing down rock-strewn tracks at breakneck speeds ! 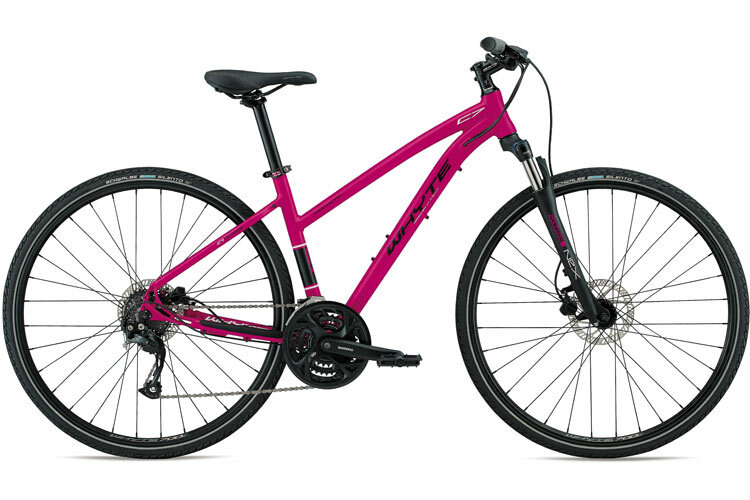 There are also two different types of riding position found within our model range. Traditionally hybrids have had a very relaxed, upright riding position, but some people prefer a more sporting, stretched-out posture on a bike. 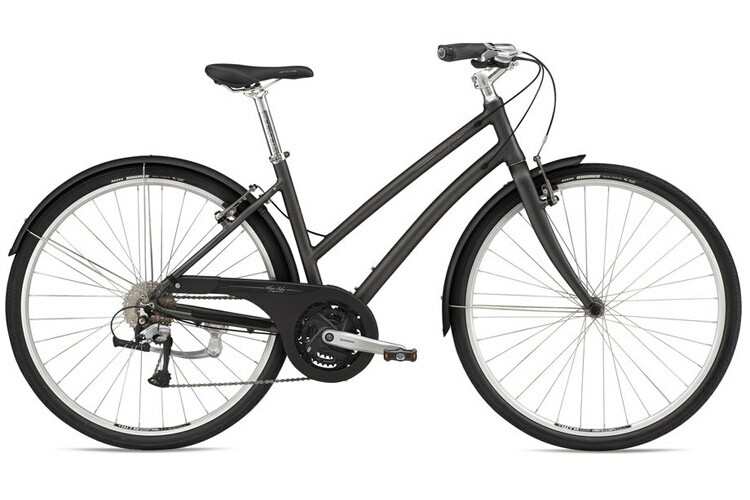 Whilst the sporty position is less relaxed it does give you a stronger, more efficient and potentially faster ride. The Trek, Ridgeback and Marin ranges are relaxed geometry, but the Whytes are sports geometry. 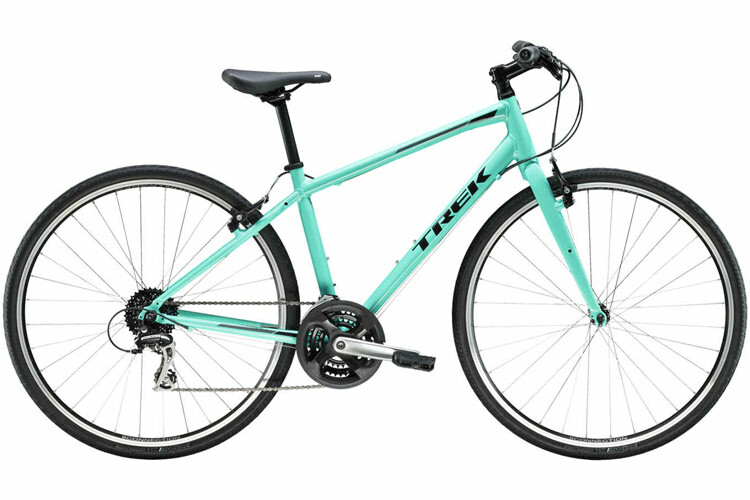 There is a quite pronounced difference between the two styles and you shouldn't have much difficulty deciding which suits you best. If you haven't already read the Choosing a Bike section, we have a go there at explaining the differences between the Hybrid, Comfort and Road categories, which can sometimes seem a little confusing! 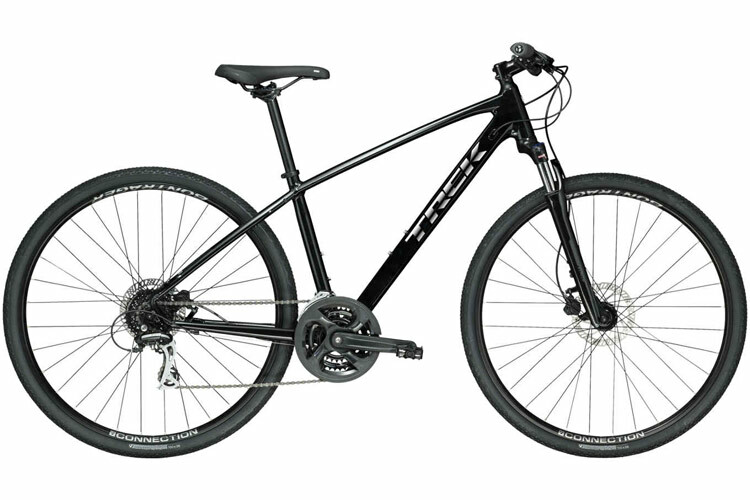 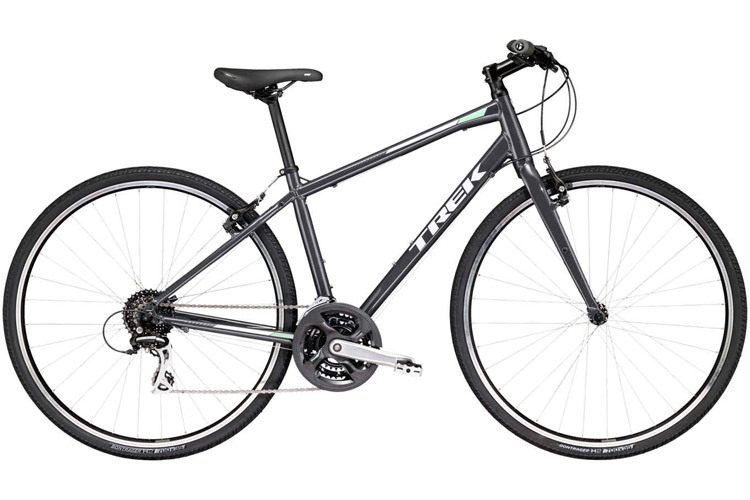 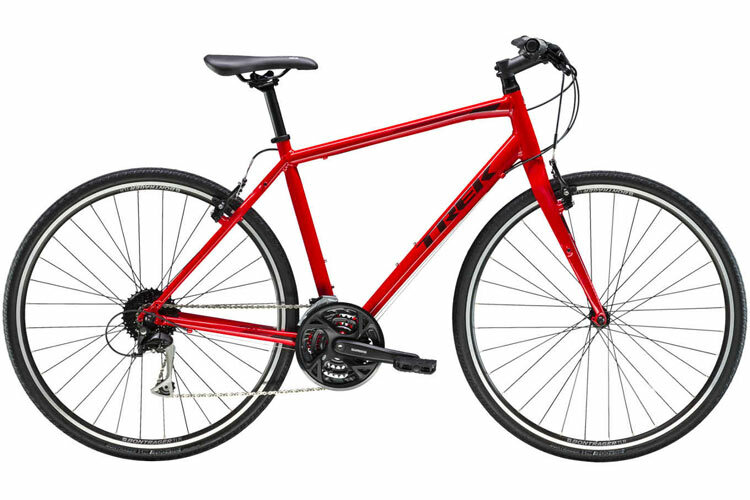 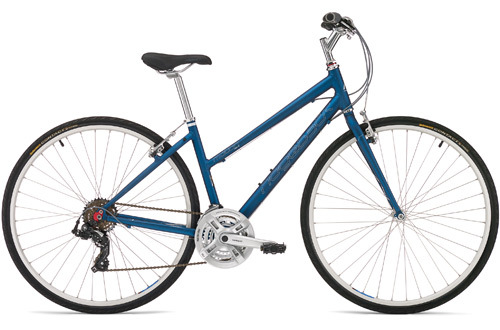 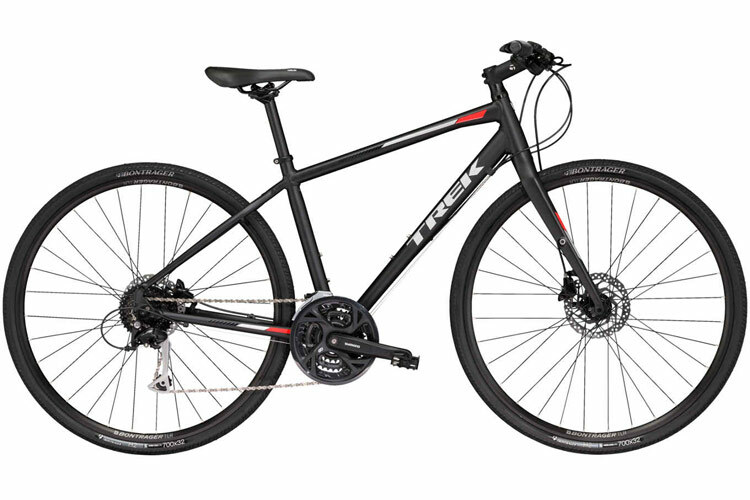 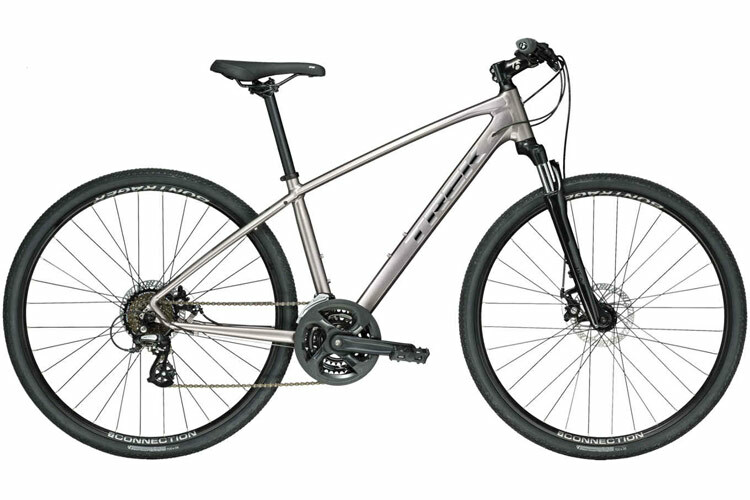 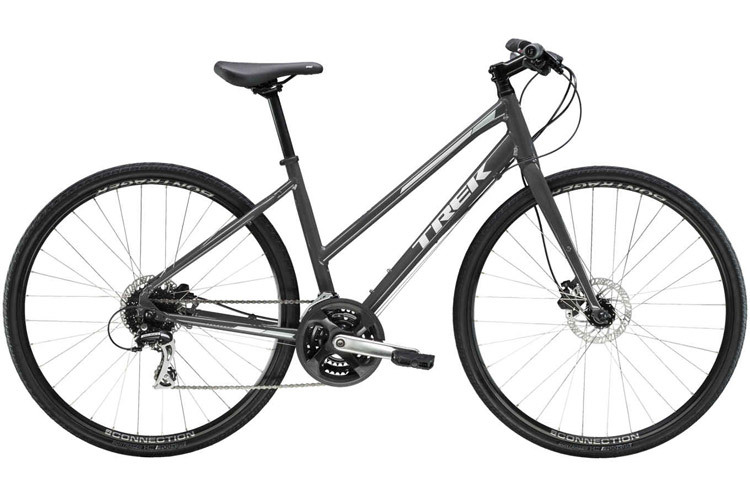 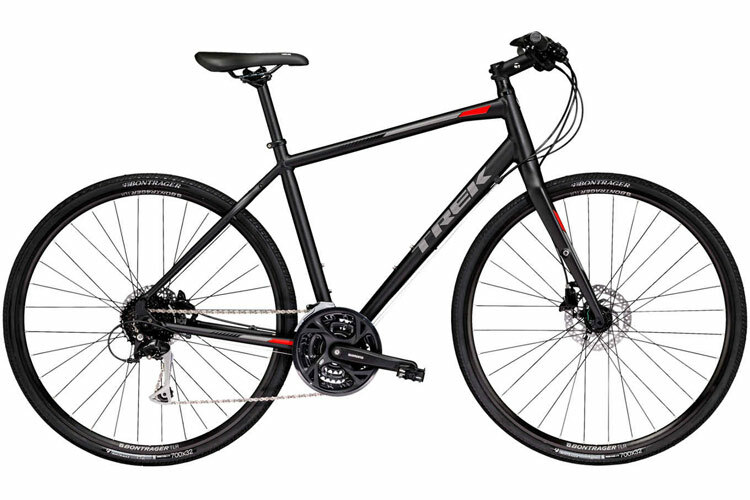 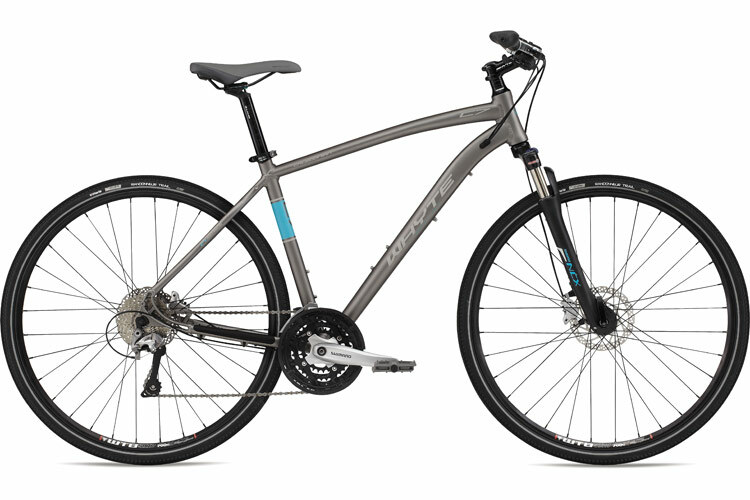 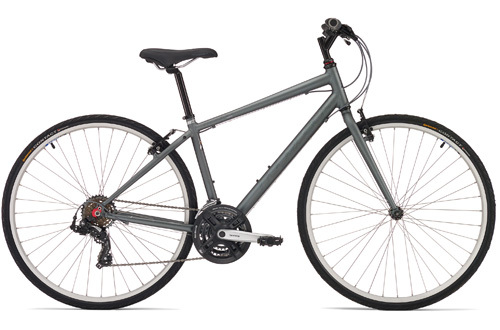 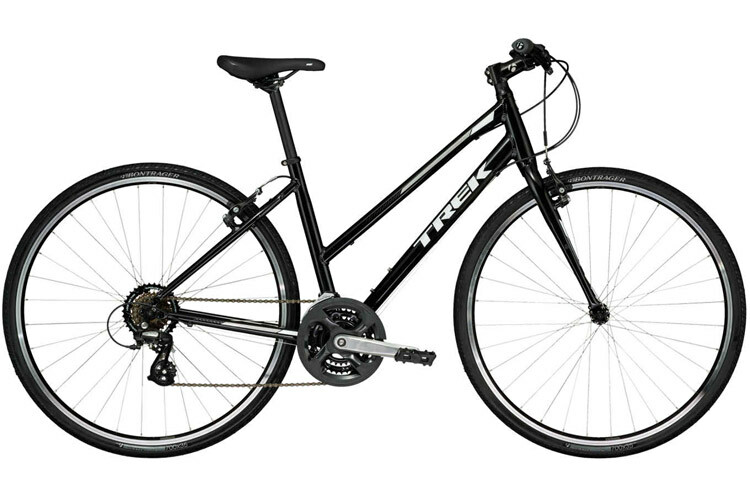 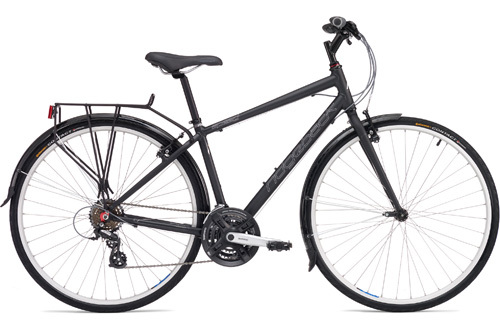 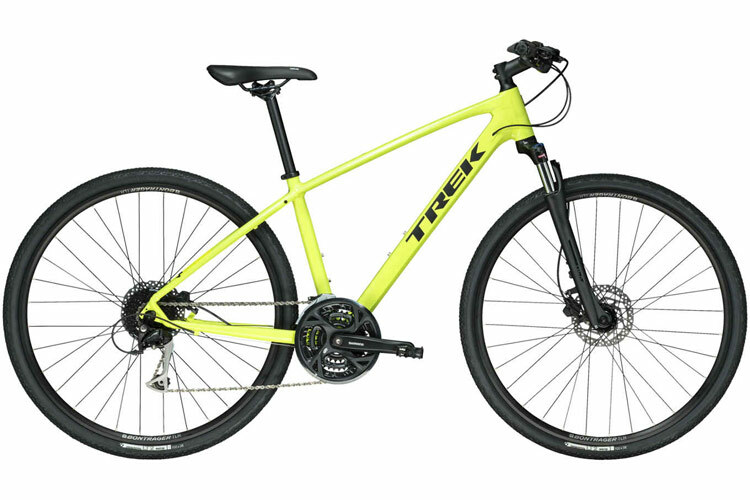 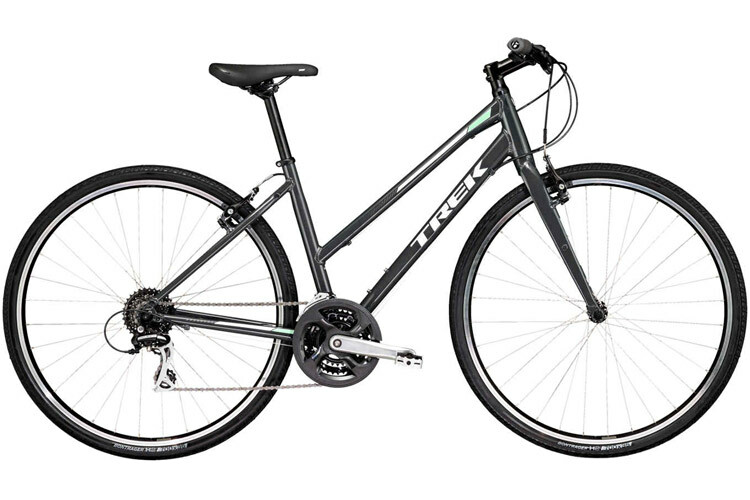 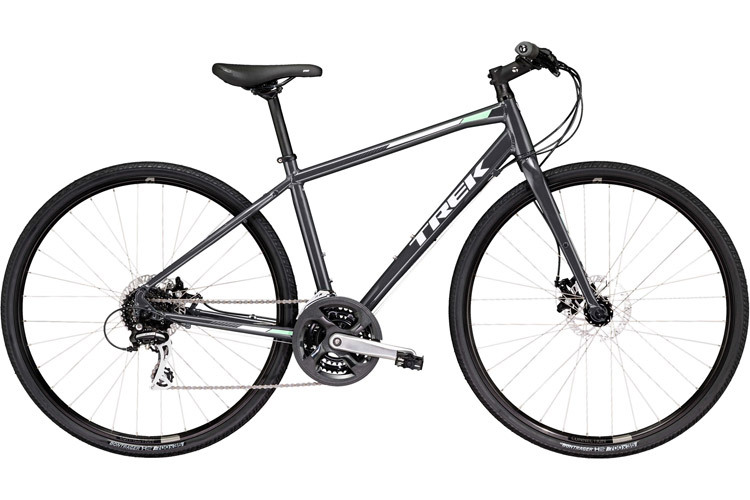 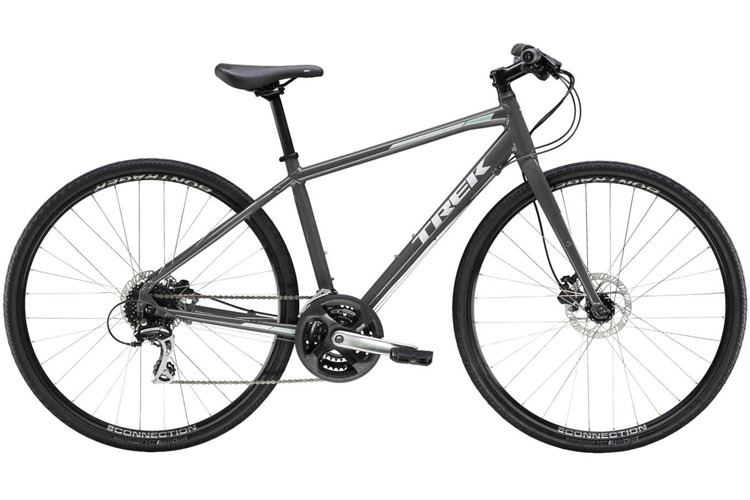 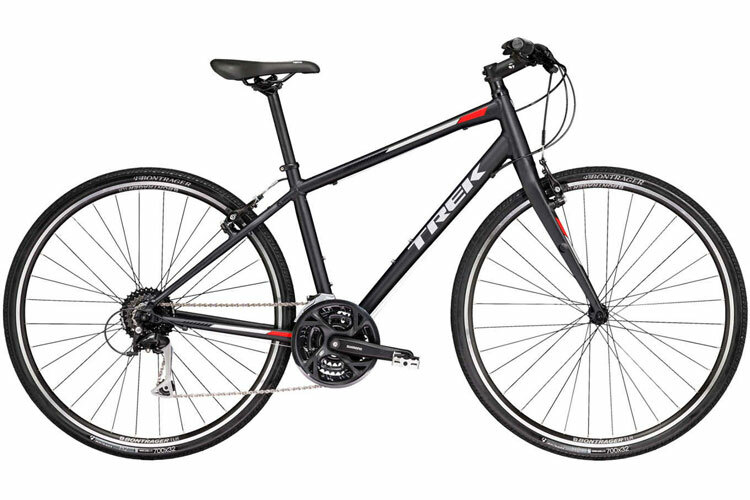 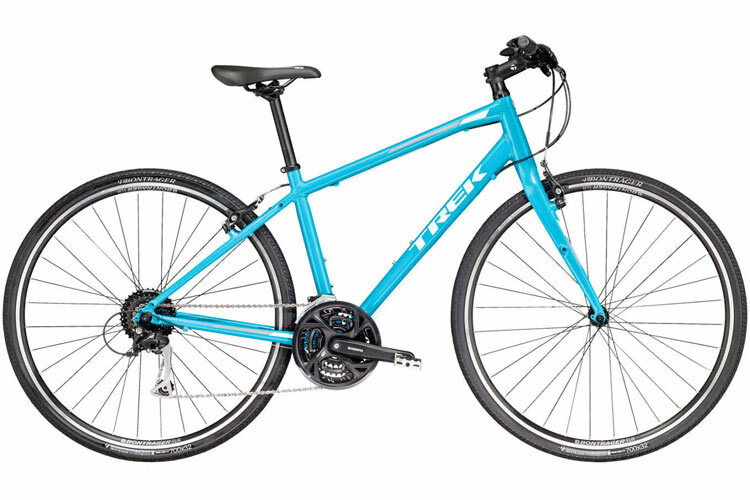 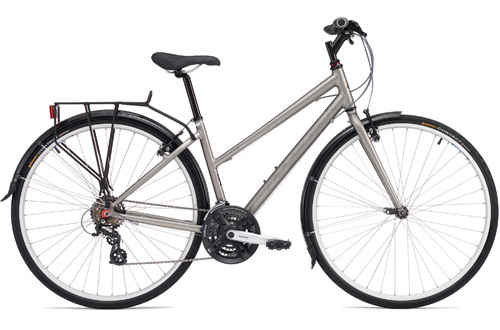 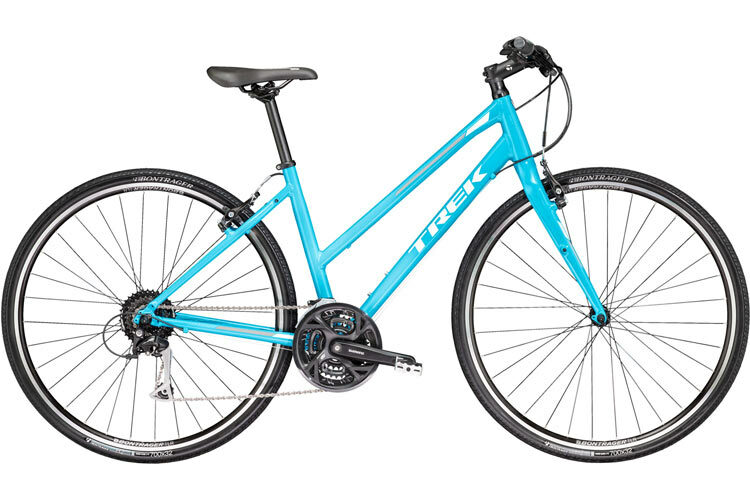 The Trek FX range have been our best-selling hybrid category for many years. They are sturdy enough to go on well maintained trails such as the High Peak Trail and Monsal Trail but are nice lightweight bikes that are excellent for road riding too. 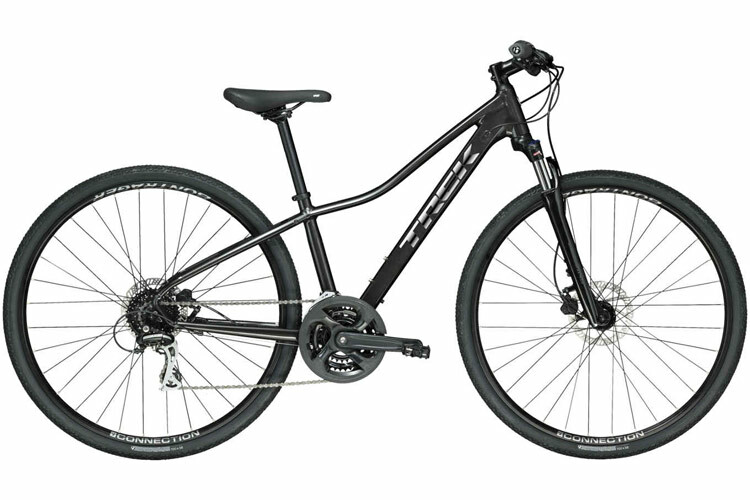 ● Sizes Mens - 15", 17.5", 20", 22.5", 25"
Womens - 15", 17", 17.5", 19", 20"
Womens - 15", 17.5", 20"
Ridgeback have a consistently high build quality and the range offers very good value for money. They are designed in Britain, the brand being owned by Madison who are the UK distributors for Shimano. 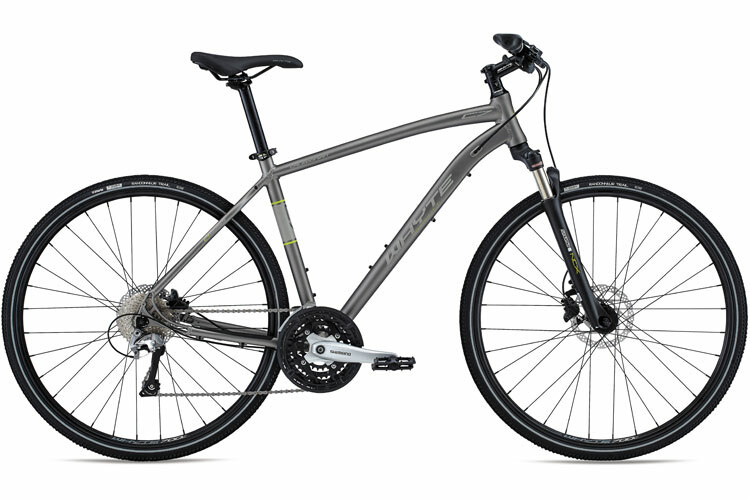 This guarantees a high proportion of Shimano equipment on the bikes, which is no bad thing! 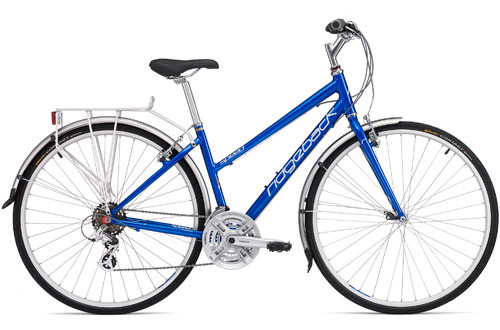 Ridgebacks all have a relaxed riding position. ● Sizes 15", 17", 19", 21", 23"